Most Canadians can ride a bike, swim a bit and maybe even run a little. Not many of us would think of putting the three activities together and making a race out of it. Yet that's what a rapidly growing number of people around the world are doing: taking part in triathlons. It's one of the fastest growing adult sports in the world. Chrissie Wellington of Great Britain rolls over the finish line to claim victory in the 2008 Ironman World Championship in Kailua-Kona, Hawaii. ((Chris Stewart/Associated Press))Most Canadians can ride a bike, swim a bit and maybe even run a little. Not many of us would think of putting the three activities together and making a race out of it. Yet that's what a rapidly growing number of people around the world are doing: taking part in triathlons. It's one of the fastest growing adult sports in the world. An estimated six million people take part in organized triathlons around the world, according to Triathlon Canada. And Canadians are pretty good at it. Competition in the International Triathlon Union World Cup Series got underway in Australia on March 29 — and 20-year-old Kirsten Sweetland of Victoria took top spot, beating out Olympic Games bronze medallist Emma Moffatt in a time of two hours, two minutes. In that time, she swam 1.5 kilometres, rode her bike 40 kilometres and finished up with a 10-kilometre run. It's the standard Olympic distance triathlon. Sweetland missed out on Beijing last year after injuries kept her on the shelf for most of 2008. But she's considered a good bet to represent Canada in the 2012 Olympics in London, continuing the strong Canadian presence in the sport that started with Simon Whitfield's gold medal performance in Sydney in the 2000 games. Joe Friel has been coaching triathletes for almost 30 years. ((Photo courtesy Joe Friel))Joe Friel was a competitive marathoner in the 1970s and got into triathlon in its early days in the 1980s as a way to push himself further. 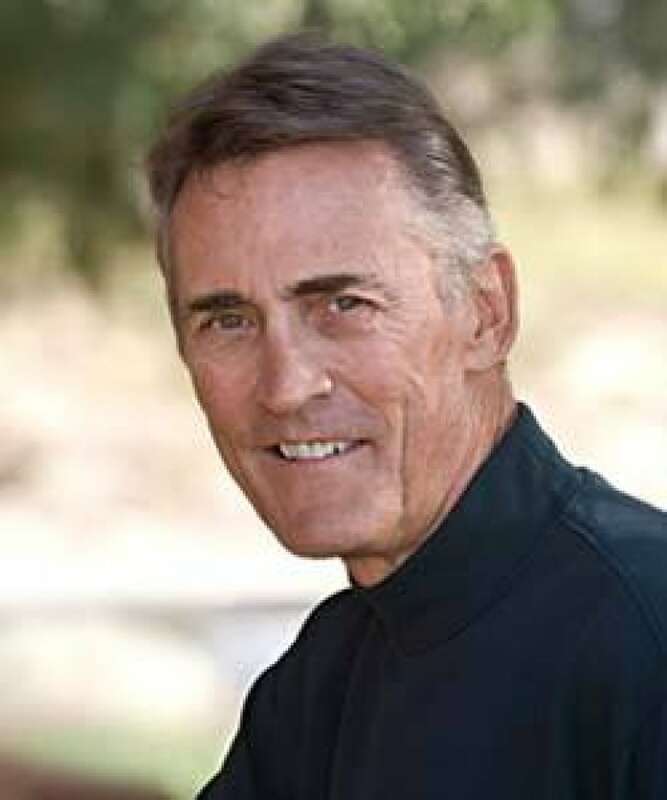 He has been coaching elites and beginners for almost 30 years and is the author of several books on endurance sports, including The Triathlete's Training Bible. He says people are flocking to the sport. "I'm not a sociologist or a psychologist, so I can't speak to what motivates the crowds to get into this sport. But I can say that since triathlon was accepted into the Olympics in 2000, growth has exploded." Demand for spots in Ironman Triathlons — a 3.80-kilometre swim, 180-kilometre bike ride and 42.2-kilometre run — consistently outpaces supply. The major races normally sell out the same day registration opens, which is often a year before the race is held. Super-sprint, which consists of a 375-metre swim, 10-kilometre bike ride and 2.5-kilometre run. Sprint, which consists of a 750-metre swim, 20-kilometre bike ride and five-kilometre run. Long course or half Ironman, which consists of a two-kilometre swim, 90-kilometre bike ride and 21-kilometre run. Friel tells prospective triathletes who are reasonably fit that they should be able to complete a sprint triathlon with about eight weeks of training. Newcomers to triathlon, he says, tend to be fairly strong in one or two sports, typically biking and running. "Most people tend to need work on their swimming. They're putting out too much energy when they swim, but once they learn how to swim efficiently, they're OK."
One athlete Friel coached was able to achieve elite status even though when he started, he was a very weak swimmer. It was a similar story for 41-year-old Wendy Gualtieri of Mississauga, Ont., when she decided in 2008 to try a tri. "The whole thing seemed very appealing at the time. I am a pretty decent cyclist and a good runner, so I thought, 'learn to swim and give it a go.' A lot of my friends were getting into them as well." After getting through the swim and bike portions of a half Ironman race, Wendy Gualtieri hits the wall in the run. (Photo courtesy Wendy Gualtieri) Gualtieri competed in the sprint distance and placed well. But things were a little different when she moved up to a half Ironman. The swimming and cycling legs of the race went well enough, despite a downpour during the bike ride. All that was left was a 21-kilometre run — her forte. Last year, she recorded the 88th fastest time of any Canadian woman in the half marathon in Canada. "I was so excited for the run. This is my sport. The first 10 kilometres were awesome and then I hit the wall big time through a lack of proper nutrition. I could go no further and ended up walking and not running. That's probably what put me off the whole thing. I am a runner and runners run not walk." She's decided to focus on running, but might be convinced to try a sprint triathlon again sometime. Coach Joe Friel says there are several things you should remember before getting into triathlons. "Don't try to do too much at once. People get really excited about the sport and tend to push themselves too hard. That's setting themselves up for injury." Protein to repair the damage training does to your muscles. Fat and carbohydrates to provide fuel for your workouts. Water to keep you properly hydrated. Race day nutrition is critical, especially for the longer distances. what could have been a bad experience into a strong finish. 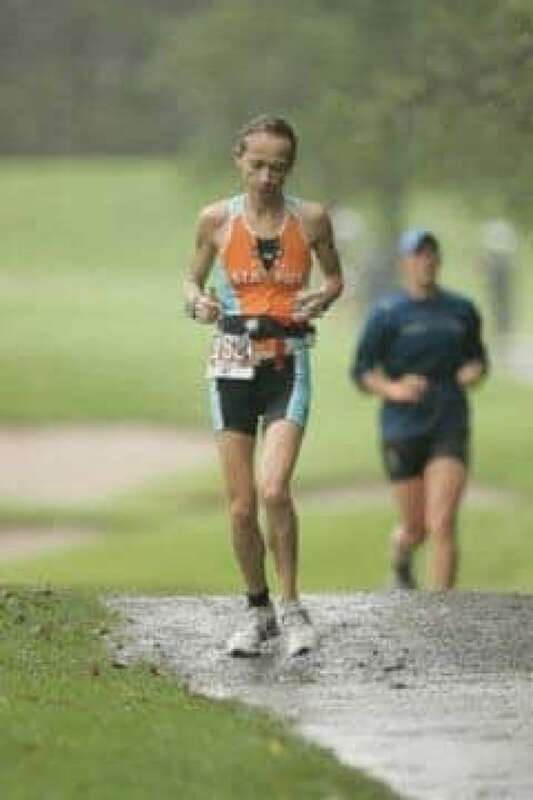 She went hard on the bicycle leg of the Ironman Florida race in 2008 and sliced 45 minutes off her previous best time. By the time she got to the run, she felt terrible. "My head did not feel as if it was attached to my body. My stomach felt so bad that I wished I could vomit. The thought of running 42 kilometres almost broke me. I started thinking about being in the moment and remembered what one of the pros had said during a motivational talk the night before: 'You can recover — drink cola at every stop and you will recover.'" It took De Sousa more than 20 kilometres to start feeling better. But she finished the run on her feet and feeling good. The sprint distance has appealed to 57-year-old Joe Finley of Toronto. He completed his first in August 2006, two years after he was diagnosed with cancer. He had undergone extensive chemotherapy treatments and a lung operation. Joe Finley approaches the finish of a sprint triathlon with his children, Mike and Megan. (Photo courtesy Joe Finley) Finley was always athletic. He had run the Toronto Marathon several years earlier. He was a competitive squash player and loved to ski. In the spring of 2006, some of his friends told him they were going to do a sprint triathlon that year. He said their plan got him excited and he secretly decided that he would do it, too. He had to work on his swimming. "When I started, I could barely get down half a length of the pool but working with a coach got me to the point where I could finish the 750-metre swim." Finley lined up at the starting line with his friends. "When I finished [the triathlon], it was just the most incredible experience — far surpassing the feeling when I finished the Toronto Marathon, or anything else that I had done. There was the feeling of camaraderie of doing it with my buddies and — you know — sort of overcoming what I was going through." That fall, Finley organized Joe's Team, a partnership with Toronto's Princess Margaret Hospital, one of the foremost cancer hospitals in the country. The next year, the first Joe's Team sprint triathlon was held, attracting 230 mainly first-time triathletes. They raised more than half a million dollars for cancer research. "This has been successful not because of me, but because of the incredible group of people that got together to make this happen," Finley said. "You find out what your friends and family are made of when you start one of these things." To date, Joe's Team has raised more than $1.2 million for cancer research, making it the most successful grassroots fundraising initiative in the hospital's history. This year's the Joe's Team race will be held on July 11, about two hours north of Toronto.